General purpose braided sleeving is ideal for cable and wire management projects where easy application and durability are the main determinants of a successful solution. 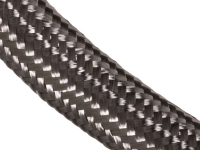 These options offer the most versatility due to the available expandable and side entry braided sleeving while maintaining the integrity necessary for durability and resistance to unwanted materials. 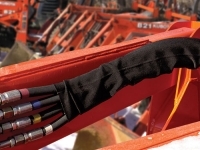 Expandable sleeving expands to simplify the application process making the feeding of cables or wires through the sleeving as efficient as possible and then contracts to form to the bundle allowing for a clean and cohesive bundle regardless of any inconsistencies in the width of wires or cables. 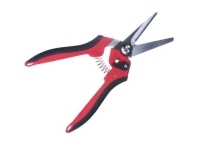 For conditions that demand ease of use but require increased resistance to abrasion, tight weave options are available as well. 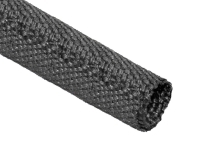 Side entry sleeving are also available for conditions requiring superior ease of application and reapplication involving the adding or removing of wires, cables and hoses while maintaining durable protection. Braided Metal Sleeving offers cut and abrasion resistant options that are ideal for a wide variety of uses including grounding solutions, high intensity weather and temperature resistance. Metal sleeving is extremely durable and has EFI, RFI, ESD and UV resistant options as well as antimicrobial and germicidal options. 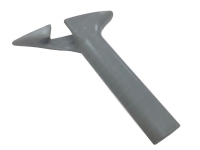 They are uniquely functional, flexible, durable and aesthetically pleasing making them perfect for many automotive, aerospace and outdoor applications. 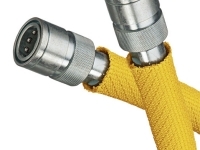 With virtually indestructible options like braided stainless steel sleeves even your most vulnerable wires, cables and hoses will be safely tucked away while your project remains aesthetically stunning and rust free. Flame retardant sleeving options offer the same durability and easy application of general purpose braided sleeving solutions with the added benefit of fire prevention. 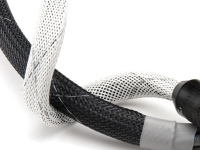 These sleeving options are optimal for engineering, automotive, electrical and other industrial circumstances where fire damage is a potential concern. 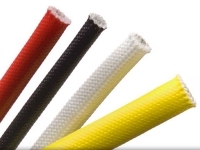 Flame retardant sleeving will protect cables, wires and hoses from flames as well as help to reduce the spreading of flames until the fire can be fully extinguished, potentially saving other important components. Technical Engineering Sleeving options offer the most technologically advanced materials which allow them to offer qualities that meet the most demanding specifications while remaining incredibly lightweight and pliable. Many of these sleeving options offer peak chemical, temperature, abrasion and moisture resistance as well as other valuable qualities like industry leading ease of application and resistance to bacterial growth. As the name would suggest, high temperature sleeving options are the most resistant to extreme temperatures. The ability of high temperature sleeving to withstand both extremely high and low temperatures combined with its ability to resist common chemicals and solvents as well as its easy and fast application make it ideal for many engineering, aerospace and automotive uses. The fiberglass and silica composition used in the high temperature options will keep your cables, wires and hoses cool, calm and collected at temperatures approaching 2000 degrees farenheit. 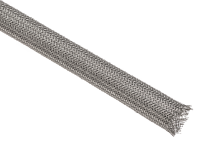 Specialty Sleeving options are able to accommodate the most specific braided sleeving needs. Specialty sleeving includes options that are easily edited out of video production, noise reducing, up to 1500 times more reflective than bright white and sleeving thin enough to be conducive to micro optics. 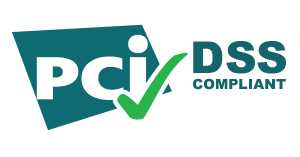 Specialty options allow you to protect cables, wires and hoses from vulnerability without inconveniencing the major project at hand. 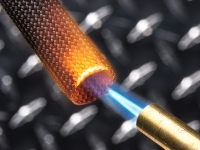 Automotive sleeving options offer extreme abrasion and temperature resistance necessary for resilience in high performance automotive conditions. These sleeving options will accommodate any quality you may need in a sleeving solution whether that be extreme temperature or abrasion resistance, non-conductivity, penetration protection or noise reduction. 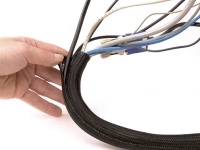 Regardless of the automotive project at hand, Cable Ties and More has a braided sleeving solution that will allow all hoses, wires and cables to perform at the high standard required of them.